For 2019, the META AM has been equipped with 29” wheels. 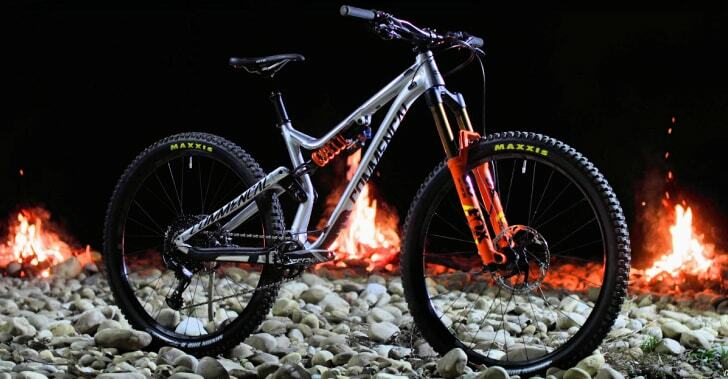 Many things have evolved on the frame in order to offer the best enduro 29er. We have used all the experience we gained when we made the SUPREME DH 29 in order to design a bike that is as reliable as it is dynamic. Largely revised, the META AM 29 with its big wheels brings more serenity. The new geometry alongside the 160mm of travel of the META AM 29 provides unparalleled sensation and performances! A benchmark of enduro racing, the META AM 29 has already proven itself in the hands of Cécile Ravanel. Her numerous victories holding these handlebars are a good indication! Here comes the “SIGNATURE BRUSHED” version. This brushed aluminium finish highlights the beauty and reliability of an aluminium frame, a true COMMENCAL staple since the beginning. See Thomas Estaque in full ride mode on the banks of Lake Salagou in the video above.